Just returned from our first escape! Although we didn't ! We had so much fun! So clever and the props/ clues were awesome! Infiltrate the vault, survive a booby-trapped bunker, and pull off the greatest heist in history! Players will join an Allied commando team tasked with stealing a mysterious artifact from a secret vault controlled by the mystical Brotherhood of the Black Sun. With challenges and puzzles inspired by the most ruthless military geniuses of WWII, this heart-pounding chapter of Liberty Escape Rooms will change the fate of millions! 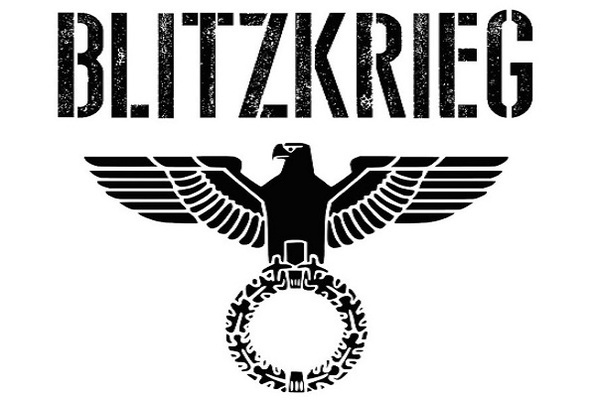 Reviews of escape game "Blitzkrieg"
Cool escape rooms! Located in Old City, the rooms have historic bases. We did the Blitzkrieg and had a blast! As an escape room veteran I have high expectations in order to really be wowed by a new room. Liberty blew them all away. Played Revolution and Blitzkrieg both are at the top of my list. The rooms are incredibly immersive, have well thought out stories, and full of awesome puzzles. The lobby is cool, it's easy to find and the staff is incredible. No one will leave this place disappointed, do yourself a favor and book a room now. It will set a new standard for escape rooms for you. We did the Blitzkrieg escape room and had a blast! It was very difficult and challenging but loved every moment of it. The owners were super nice and accommodating. I highly recommend it and will be back to do the American Revolution escape room too! My friends and I completed the Blitzkrieg room and we had an amazing time. These rooms are not easy, but not so impossible as to get you frustrated. Our hosts were knowledgeable, friendly, and made our experience exciting. We can't wait to do the Revolutionary room! We did the Blitzkrieg room, and it was so awesome! I loved the story, props and clues. Highly recommend for everyone to try it out!